To wrap up 2014 nicely, here is a selection of links (articles, reports, interviews, photos…) that I liked and tweeted in December. Articles about crowdsourcing, content marketing, entrepreneurship and open creativity populate this wrap-up, I hope you will like them. 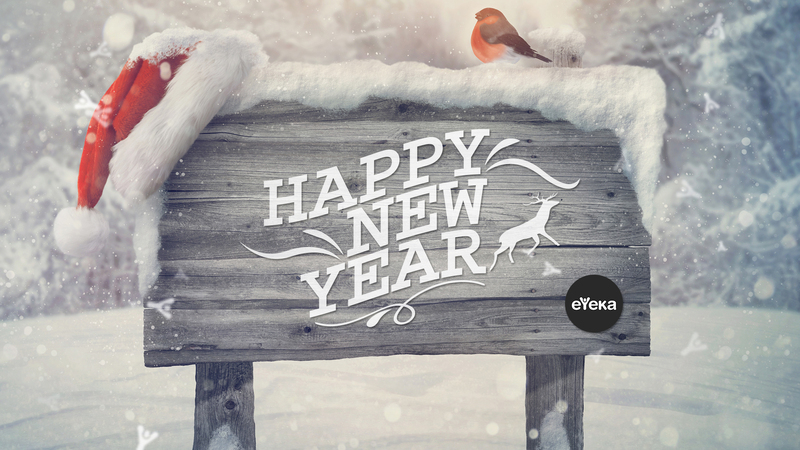 For me, 2015 will mark a pivot year as I will start as a full-time Marketing Manager at eYeka, shifting the focus away from research and towards driving business results for the world’s leading creative crowdsourcing platform. I just found this part of my job to keep me going more than only doing teaching and research (note that I will finish my thesis, continue working on currently ongoing research projects and start teaching marketing at ESSCA Business School, so I’m not totally changing focus). The FutureBrand Country Brand Index, created by the international brand and design consultancy network Future Brand, describes itself as the world’s largest and longest standing global study of country brand perception. “Where brands are made, the geographic location of businesses and the regulatory forces shaping global trade and industry are fundamental to our understanding of the future,” they explain. I found this report to be highly interesting, and would encourage you to read it if you are interested in global marketing. Watch this beautiful split-screen time-lapse video, created for a French airline, in which filmmaker Franck Matellini (who “belongs to the “happy Parisians” [who] try to spread the French kiss as a sign of love,” as his Vimeo profile says) explores the similarities and differences of Paris and New York City. I love it! Scroll down this great page created by Behance, the famous (4+ million people strong!) network specializing in self-promotion for creatives, owned by Adobe. I just think it does a great job showing the real-world impact of what they do, it has a great user experience, and it’s beatifully illustrated too. Congrats to the team at Behance, you’re inspiring us to push our limits. This is the video interview about entrepreneurship, in which the CEO of Local Motors (about which I blogged here, here and here already), explains how he spends 80% of his time to find funding for his company, focused on low-volume manufacturing of open-source motor vehicle designs using multiple microfactories and crowdsourcing techniques. A short and insightful video. This is an interesting article about “what [differentiates] YouTube, Airbnb, and bitcoin [from] CNN, Hilton Hotels, and the average bank” (answer: the are all platforms). GigaOM notes that we are witnessing the death of the decades-old industrial organization model, which is being replaced by the organization model of the 21st century: the platform (or what Jeremiah Owyang also calls “crowd companies”). The article is written by Ernesto Spruyt, from crowdfunding platform Mobbr. In December I presented the state of my PhD research (almost done!) in a nice room with a view on the Sorbonne‘s dome. In this tweet I just wanted to share the view, that’s it. In a marketing effort that “raises the bar for sponsored content,” industrial conglomerate General Electric (GE) wanted to emphasize the connection between neuroscience and music – a topic the company plans to explore in 2015. In partnership with the music video platform Vevo, GE released a documentary called “Shake the Dust” focused on breakdancing, and “how the movement has united people across the world.” In addition, GE will launch other videos to complement the film, such as interviews with Nas and a segment with former Grateful Dead drummer Mickey Hart. This is an interesting piece about how changes in a platform’s practices can piss off its users. TaskRabbit, one of the pioneers of the peer-to-peer marketplace principle which allows people to “find a job when [people] need it, find a worker when [people] desire one, all at the right price,” pivoted, which caused a set of changes that many of the taskers didn’t like at all. I won’t explain more here, but just invite you to read this great article by Caleb Garling. “Americans believe that choice allows [them] to individuate [themselves],” explains Amy S. Choi on the TED blog, “we feel acutely the need to construct a personal narrative out of our choices and, thus, construct our own identity.” Her well-researched article looks at the concept of choice across cultures, and it’s a nice read in which you will learn not only about Western, but also about the Amish or Asian perceptions of choice. This is a slightly longer read, but if you are interested in community building on the web, you should read it. Community manager, consultant and coach Ben Van ‘t Ende interviewed Jono Bacon, who spent 7 years as a community manager at Canonical and today is the senior director of community at XPRIZE, an organization that creates big prizes for teams to help them reach their goals. Read it to learn about community management in open source and crowdsourcing communities. Last, to wrap up this year 2014 and to start 2015 nicely, here are four key creativity trends that I believe will shape the marketing world in the year to come. I think that (1) creativity will keep opening up, (2) creative prediction tools are coming to the fore, (3) there will be more creative direction tools and (4) the open approach to creativity will become more efficient. What do you think? Don’t hesitate to coment here (below this post) or on Linkedin where I published this article originally). ← Previous Post Merry Christmas. Joyeux Noël. Frohe Weihnachten. Nedeleg laouen!